Sales of zero-emission electric vehicles are expected to rise in 2019, as the state announces incentives for going green by promising subsidies, building charging stations and importing new alternative-energy car models. Skopje, 11 February 2019 (MIA) – Sales of zero-emission electric vehicles are expected to rise in 2019, as the state announces incentives for going green by promising subsidies, building charging stations and importing new alternative-energy car models. Electric vehicles are considered one of the possible solutions to the country’s air pollution problem and have been included in all of Macedonia’s municipalities’ environmental protection policy plans. Last November, Deputy Minister of Environment and Physical Planning Jani Makraduli announced the idea to offer subsidies to electric and hybrid car buyers. The amendments to the Law on Vehicles include giving state subsidies for purchasing electric vehicles, for LPG and other alternative fuel conversions, and for trading in old cars in return for new ones. A total of MKD 170 million are to be provided in subsidies in 2019, followed by MKD 245 million in 2020 and MKD 320 million in 2021. Subsidies of EUR 5,000 will be given for purchasing electric vehicles, while EUR 3,000 will be granted for purchasing a hybrid car. Subsidies for 200 vehicles are going to be provided in the first year. Despite EUR 2,7 million is to be provided in subsidies this year, Parliament has not voted yet on the changes to the Law on Vehicles. In Macedonia, electric cars can be purchased from several different manufacturers. However, official price lists are not available for most of them. 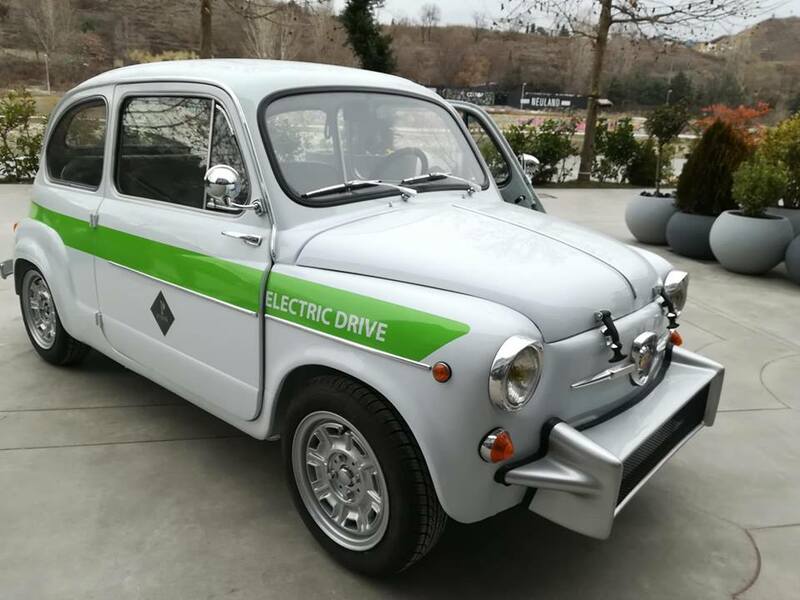 Last week, BB Classic Cars introduced the first Macedonian electric vehicle, the ZAS G20. This zero-emissions model has a range of 150 kilometers on a single charge and can develop a maximum speed of 130 kph. Charging time is three hours at home or at a public charging station and 15 minutes on a rapid public charger. The model costs about EUR 20,000 and the wait time is two months. The first-ever electric vehicle introduced on the Macedonian market was the Mitsubishi i-MIEV, presented by Mak Autostar, back in 2015. This was a zero-emissions vehicle with a range of 160 kilometers on a single charge. A full battery charge of this vehicle takes up to six hours, and an overnight charge costs MKD 35. A Mak Autostar representative said Mitsubishi would not export electric vehicles to Macedonia in the next couple of months, but people should look out for updates during the second half of the year. Meanwhile, Porsche Macedonia offers the Volkswagen models e-Up! and e-Golf to Macedonian drivers, with plans for expansion on the horizon. Both models can charge in three ways: at home, at a public charging unit, and on a rapid public charger. Depending on the charging mode, the battery of the e-Up! 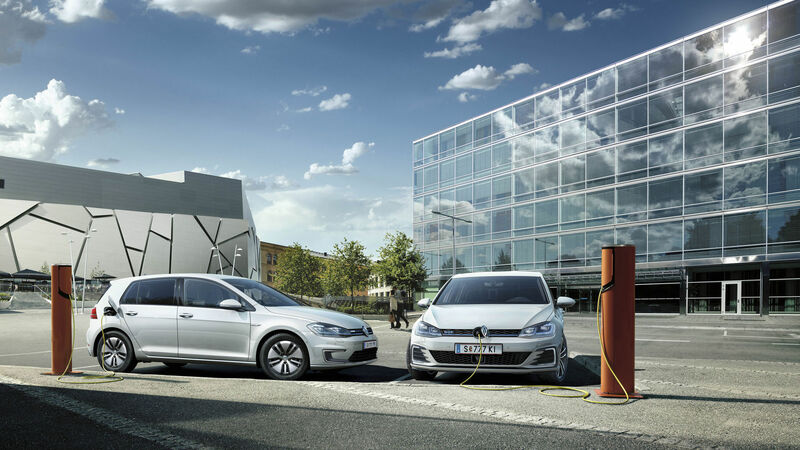 can be fully charged in 30 minutes to 9 hours, while the battery of the e-Golf can take from 30 minutes to 17 hours. According to Porsche Macedonia, people are not too interested in buying electric vehicles because they are perceived as costly and have to be charged. 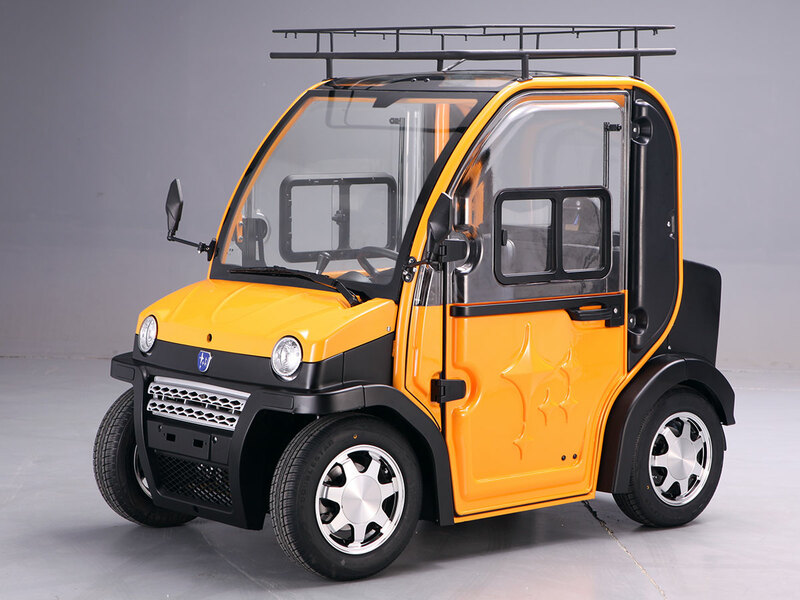 Over the past couple of years, the company Hamachi Macedonia has offered buyers electric vehicles produced by Jonway. At present, they offer three electric car models, including the model Urbee 2. The price of the Urbee 2 is about MKD 325,950 or about EUR 5,300. The engine power of the vehicle is four kW, and the maximum speed is 45 kph. It weighs 650 kilos and has a range of 100 km on a single charge. 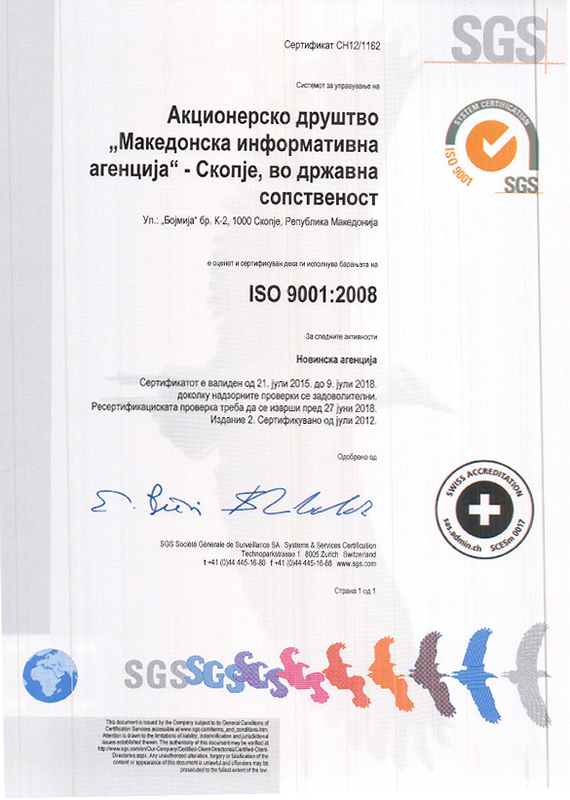 According to Goran Arsov, marketing manager at Hamachi Macedonia, people are interested in purchasing electric vehicles mainly because there are easy to maintain, and don’t have filters, belts and similar parts that regular cars do. Additionally, they do not pollute the environment. Incidentally, Skopje City officials are the first in the country to have added an electric car to their car fleet, while Štip received an electric vehicle as a donation from Hamachi Macedonia last week. The more electric vehicles are in use, the more necessary it is to develop an EV network. The electric car’s biggest disadvantage is its small range, and the only way to overcome this problem is to build a suitable electric vehicle network, with rapid charging stations nationwide. EVN has partnered up with municipalities across the country to begin the “Electromobility with EVN” initiative. The initiative aims to develop an EV network which will satisfy drivers’ needs. Besides charging their vehicles at home, drivers need to be able to charge them on the road as well. The chargers need to be placed at convenient points along the streets, spaced about 100 km apart. Over the past couple of years, electric charging stations have been cropping up in Skopje, at the multi-level parking decks “Todor Aleksandrov” and “Makedonska falanga,” as well as outside the City Hall buildings and the city zoo. EVN has installed 40 EV charging stations at central public locations in 17 cities across the country. Drivers who are interested in charging their vehicles at these stations must first subscribe to the service and receive a membership card, after which they can use the stations free of charge for one year.